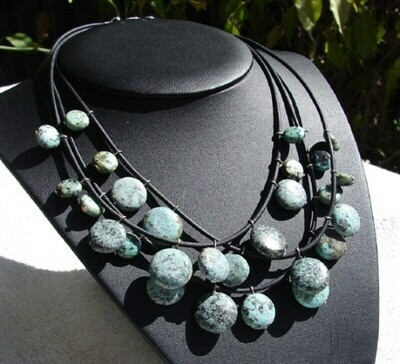 African Turquoise Jasper is hung on Silver head pins . Coins of varied sizes on each leather cord create a full intricate design while remaining very casual . 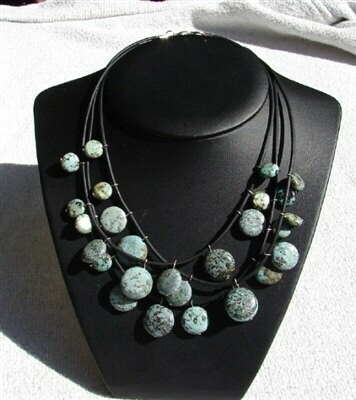 This piece is 16 inches in length with a 2 inch adjuster chain. If you want a custom length we will accommodate you at no added cost .